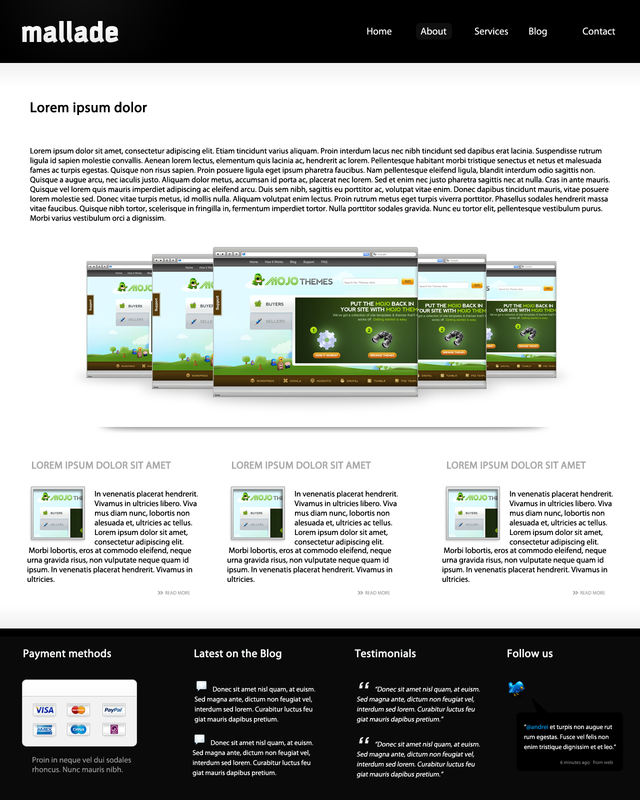 Elegant yet modern business template. 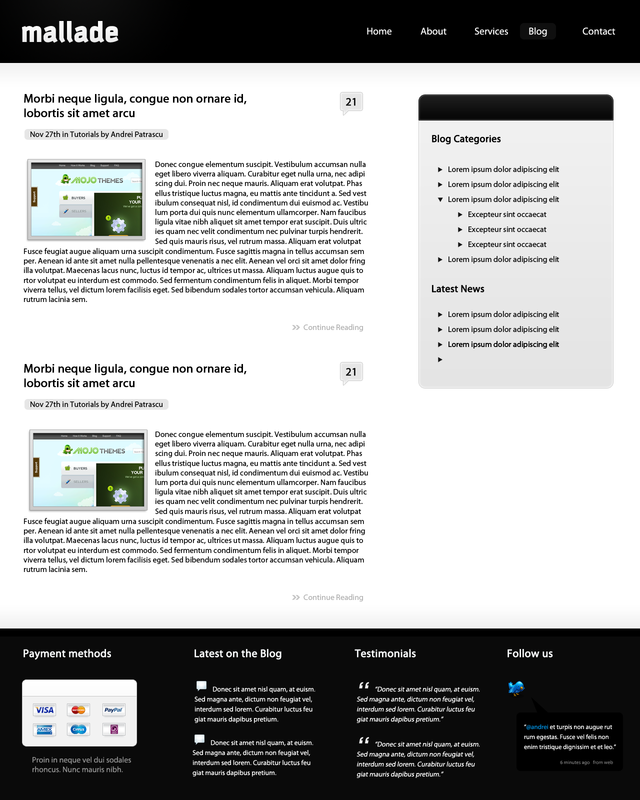 The template has five pages: home, about, blog, services and contact. Fonts used: Kautiva Uni Black and Myriad Pro.